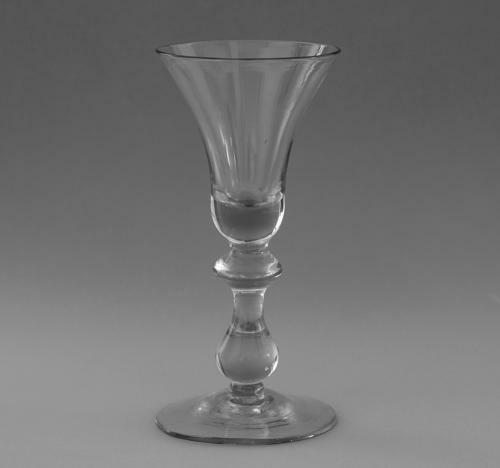 Goblet the bell bowl with solid base on a stem with with angular knop over true baluster on a plain conical foot. English C1725-35. Condition: Good with no restoration. The bowl of the glass is slightly worn and has a very small open bubbleon the outside of the solid base otherwise a good glass.